If you are planning for a vacation in Sabah, the Sipadan Island in Semporna is one of the destinations that you should not miss. Apart from being able to transport you into a totally new place in which it will help greatly in getting rid of your everyday’s stress and pressure from work, the island is also one of the best places in Malaysia to explore more of the hidden secrets and underwater treasures. The island is also internationally famous; thus, you would not be surprised to see that the island is crowded and packed with divers and visitors from all over the world to catch a glimpse of the magnificent underwater marine life in the island. Sipadan Island is one of the islands in the world with the richest marine life. Here, you will be able to discover and learn the habitats of more than 3000 fish species living under the ocean. Other underwater species such as the coral species and not to forget, the famous green and hawksbill turtle can also be found on the island. This is definitely a rare sight as you might not be able to witness these precious species in action elsewhere. The best way to explore more about the underwater creatures here is through a diving tour, it is also important for you to dive underwater and catch a glimpse of the famous turtle tomb, which is hidden well in the limestone cave underwater. If you manage to explore the cave, you would find that you will be able to gain good insight on the legendary history of the turtle tomb on the Sipadan Island. When you are on the island, you would definitely need to dive into the ocean. By this, the local government had implemented and constructed few diving sites base on the trademarks on each location to ease your diving adventure. 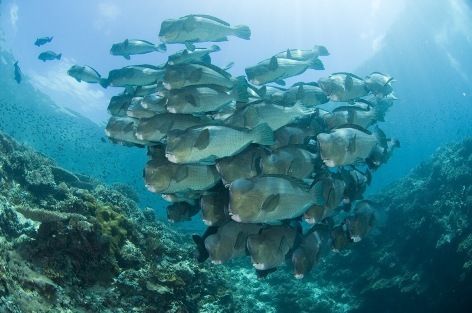 The diving sites include the Barracuda Point, the Turtle Cavern, the South Point, the Hanging Gardens, and many more. To know more about the unique points of each diving site, you are free to ask the local staffs who are more than happy to help you with your exploration on the island. As part of the effort to protect the marine life in Sipadan, there is no resort allowed to operate on the island. However, visitors should not worry on where to stay when visiting Sipadan Island as the nearby Mabul Island and Kapalai Island homes to plenty of accommodation options ranging from backpacker lodges to all inclusive luxury resorts. For backpackers, the longhouse is perfect. With as low as RM100, visitors not only able to enjoy the tranquil sea water set right under your foot, the service and amenities provided are also top notch. For visitors who are looking for a luxury retreat, the Kapalai Island Resort is simply gorgeous. This resort is popular for wedding and honeymoon with its spacious and elegant wooden chalets each offering magnificent sea view balcony that is great for sunbathing or watching the marine life in action just foot away. Alternately, the accommodation options in Mabul Island are also good for a stay. One of the attractions for staying in Mabul Island is its easy access to the underwater world, for visitors who do not want to go to deep sea, the dive sites or dive center surrounding the resort is perfect for snorkeling and diving. Sipadan Island is situated in the South Eastern coast of Sabah and 35km away from Semporna. Most of the visitors to Sipadan Island come to Tawau by flight or land transports which can be connected easily from Kota Kinabalu, Sandakan, Lahad Datu and Sukau. The easiest and fastest is to get in by flight as there are regular domestic flights available from Kota Kinabalu or Kuala Lumpur. From Tawau, visitors can take bus, taxi or pre arranged resort transportation to Semporna follow by a speed boat transfer to Sipadan Island or Mabul Island. As part of the efforts to preserve the island, only a maximum of 120 divers are allowed to dive in Sipadan Island. It is recommended to apply for the permit to enter Sipadan Island in advanced as the permits are normally fully booked due to the island’s popularity, especially during peak holiday seasons or long weekend. The dive permit is usually applied through resort and is chargeable at RM40 per person. 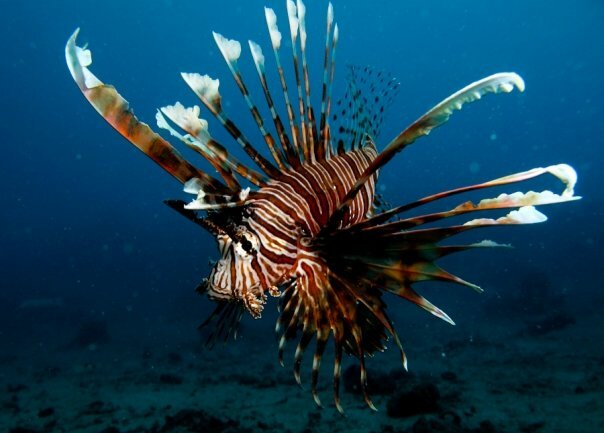 The result of the application is normally released one day before the diving trip by Sabah Park.